NetClean is the leading developer of technical solutions to stop the spread of child sexual abuse material. Multinational companies, government agencies, Internet service providers and law enforcement professionals worldwide use our solutions. Christian Berg founded NetClean 10 years ago and has grown the company to its current market leading position, partnering with global IT-companies like Microsoft and McAfee. With a strong technology background in software development, security and cloud services, Christian has an extensive global network of technical experts. He is an experienced speaker and is often invited to speak about technical solutions against child abuse content at events around the world. The product and services from NetClean are used all over the world by law enforcement, ISPs and Fortune500 companies. At JCI FastTrack, Christian will focus on how blocking of child abuse content, using the Interpol worst of list, is being done using cloud technology, making it possible to implement blocking in less than 30 minutes. He will also show a live demonstration during the 45 minutes to show to the power of cloud technology in combination with the Interpol worst of list. Sofie is a speaker, author and trainer. For over 15 years she has been exploring what it’s that makes an organisation or team work well together and what it’s that makes them perform above expectation. In Sofie’s view it has to do with creativity and how you are nurturing new ideas. By knowing how creativity works, you are designing your and your organisation’s future to be more successful. Sofie is also the author of the book ‘Digital Leadership: How Creativity in Business Can Propel Your Brand and Boost Your Results. 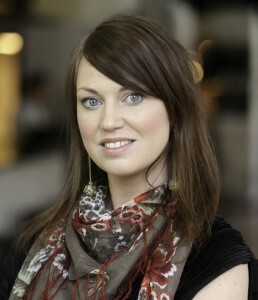 Sofie Sandell started her JCI career in JCI Göteborg and went along to her first JCI congress and event 2002. She now lives in London and has been involved in JCI both locally and nationally. 2008 JCI London President, JCI UK Marketing Director 2009-2010, JCI UK Website Manager 2011 and JCI London TOYP project manager 2012. How can you remain happy in your fast track career when the pressure and pace increase year by year. What can you do to make sure that your employees, subordinates or co-workers remain happy and productive in these challenging times. Jon Kjaer Nielsen is the man to answer that question. Although only 35 years old, Jon has established himself as Denmark’s leading consultant and keynote speaker on work place happiness. He is also the author of two books – the latest 100 tips till arbejdsglæden was released this spring. Jon has lectured in over 10 counties and to over 10,000 people. 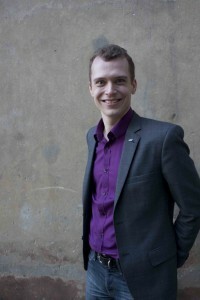 He was also one of the speakers at TEDx in London in October 2012. Jon is a member of JCI. He served as the Local President of Wonderful Copenhagen in 2005 and as the National President of JCI Denmark in 2011. He also has a long career as a trainer in JCI. Websites: http://jon.dk and http://happyways.com (where you can also download a free ebook). Karin is Community Manager at Scandic and in charge of their external social media such as Facebook, Twitter and Instagram. She also a support for all the countries although her main focus is the Swedish hotels. Scandic has 160 hotels in eight countries and is one of Scandinavia’s largest hotel chains. Swedish entrepreneurs and business leaders all want to create growth in their companies but up until today a clear compass of the bigger picture during the expansion phase has been missing. Therese Alberchtson is one of the founders of Academy of Excellence that helps Swedish entrepreneurs and business leaders to create growth by using a number of keys. The keys are developed by Sweden’s super entreprenurs and experts within the different stages of growth. Therese will be talking about some of these keys to growth. Keys that are essential for growth in your company. The course has been running in Stockholm during three years with amazing results for those attending it. At the mere age of 26 Therese is already a award winning entrepreneur and an appreciated speaker amongst stundents, top policticans and business leaders. Therese has received awards such as Europe’s Best Young Entrepreneur, Woman of the Year, Sweden’s Most Unusual Business Owner and was a finalist in Sweden’s female business owner and future leader. Why taking your passion serious means branding. What matters to you matters to others. The success of all those small initiatives that pop up everywhere is connected to individuals that burn for something and make it work no matter what. To build yourself a project that has meaning, you can make no better start than to take a moment to think about why you do it in the first place. But nothing is more complicated than describing your strength and getting your gut feelings on the table, let alone understanding how you inspire and accepting the uncertainty in your dreams. So how can you boost your project into the next gear by using this valuable self-knowledge? It is branding! And I will show why every project benefits from it. This presentation shows a branding model that reveals the human factor behind it, wether it is a startup, volunteer initiative or work task. Using it will build more meaningful connections to the people your project depends on. You can repeat the process with everything you want to grow with inspiration and passion. ID-Kitchen is run by Mariska Groen, a former member of JCI and the partner of JCI FastTrack who masterminded JCI FastTrack’s graphic identity. Mariska has extensive experience in building brands and branding. ID-Kitchen is based in Gothenburg but have clients from all over the world. Join us in celebrating 60 years of JCI Sweden during October 17-20 in Göteborg! Prices – time is of the essence!